You must be logged in to buy now. Click here to login. Bid today for your chance to own a Sherrin football signed by the entire 2018 Sydney Swans team. This collector's item is a must have for any Sydney Swans fan! Comes with a Certificate of Authenticity from the AFLPA. 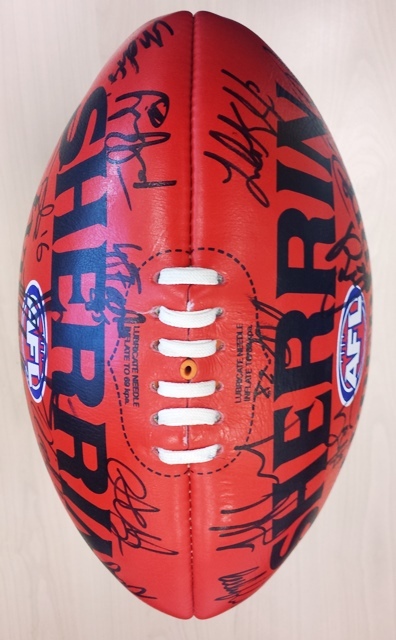 BID NOW or BUY NOW for $250 to secure the football. Reserve for this football is set at $200. Note: Football will be sent deflated. Payment must be made no later than 72 hours after the auction has closed. Please note: image is for display purposes only and actual football may vary.